Artwork Archive is a unique inventory management platform for artists and collectors. Can you explain how your site differs from sites like Fine Art America, Artplode, Artsy, Etsy as a platform for artists to sell their work? We have countless users that also have accounts with FASO and the other services you mentioned. There are some similarities, but those services tend to be focused on providing a website or online gallery for their users, while we are much more focused on providing business tools that professional artists need to stay organized, save time, and grow their careers. While we do have public profile pages and a Discovery portal that we actively promote, our main focus is on providing the tools artists need to grow their businesses. Though many of our artists love the additional exposure and have been discovered through our site, it is not our main focus. We are not an online gallery. We look at the public profile pages as an additional way to help showcase our artists, and it's usually a complement to their existing web presence. Organization, tracking provenance, sales/contact management, and all the other business-related facets that help grow an art career is what we concentrate on providing. What makes Artwork Archive unique from a collector's point of view, from an artist's point of view, from a gallery's point of view? I think one thing that sets us apart that's true for all those user types is how much we interact with our users -- and how quickly that interaction is translated into product evolution. More than 90% of our features come from user feedback and we value the unique experiences and needs of all our users. From an artist's perspective, we're really the only platform that focuses specifically on core business-related aspects that are often overlooked by other platforms. Are there reasons why your platform is more affordable than others on the Internet? John, my co-founder, and I believe that quality and affordability can coexist, and we wanted to put out a great product that was accessible to everyone. While that belief may make lavish advertising and marketing campaigns a challenge, the vast majority of our growth has come from word-of-mouth communication. We have a small and incredibly efficient team, decades worth of technology experience, and are entirely self-funded so we can make decisions in line with our values versus always letting the bottom line drive them. What features do you offer on the site that would most interest an artist? One thing we wanted from the beginning was for the site to have a clean and elegant visual interface. Artists are such visual thinkers that we wanted to make sure their artwork was shown in a beautiful and clean way. We didn't' want this to look like another database or spreadsheet program. Beyond that, I think building a complete provenance and history of their work is incredibly important. For many artists, their art is their life's work. To be able to have a full history of their work, and to see where they've come from and where they are now -- it's very empowering. Outside of the direct organization and history of their work, being able to create professional reports for their business at the click of a button is probably their favorite feature. One-click consignment reports, gallery labels, invoices, portfolio pages and more are available instantly once they've entered the work. We make it easy for artists to follow the "best practices" of the business of art with just the click of a button. Are you the developer of the website or do you hire outside sources to design the site? We do all of our product design and development in-house. Third-party providers will never care as much about the product or understand our audience the way we do, so keeping it in-house is a worthwhile expense for us. Are you still a Beta Site or are most of the bugs fixed and is the site is close to being finished or is it still a work in progress? Our artist product has been around for over five years now, and the Collector/Organization products are both over a year old. I notice you send out periodic marketing ideas for artists, is that something you plan to do on an ongoing basis? Do you ever survey your users to see what features they might want to add? We do. And, those surveys, combined with our day-to-day interaction, inform the majority of our decisions on the product and the content we create. How many years did it take for you to come up with this idea and develop it to how it now exists? John's mother is an oil painter, and her struggles to find something that truly addressed the needs of a modern-day artist provided the seed for Artwork Archive. 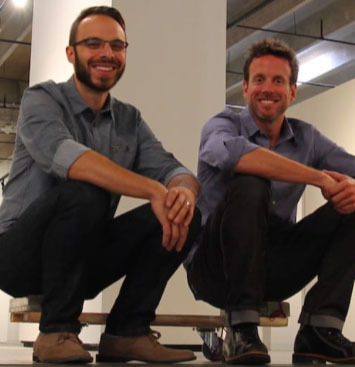 The two of them worked closely to create the first version over five years ago, and it's been evolving ever since. How many artists, galleries, dealers, consultants, collectors, do you currently have on the site? We don't share exact numbers, but we can share that we have thousands of users in over 50 countries using the product. How large do you plan to make the site and is there any limit to how many people it can accommodate? We have no specific plans in terms of numbers of users, but we are always looking for ways to grow. We've also built the platform to scale up and run on servers that not only provide the highest levels stability and security, but also give us close to limitless ability to expand. What is your background that informed the decision to go in this direction and develop this type of tool for artists and collectors? Both of us have always had a strong passion for the arts ... John more on the artist side and me more on the collector side. We also have decades of software experience between us and love leveraging technology to improve the lives of others. When we realized how limited the existing solutions were, it seemed like a natural fit that would allow us to pair passion with experience. Do you have plans for the future and are you willing to share that with our audience? In 2016 we added some major additions, including an exhibition/competition tracking and reminder system. We are excited to make 2017 our biggest year yet. We've spent the last few months working with our users and gathering specific feedback on how we can make the product even better. The majority of 2017's updates will come in a release we're planning for Q1. This will be a full upgrade of the entire site with a heavy focus on improved ways to enter and edit data. We will also be adding new formats and customizable options for everything from our gallery labels to our inventory reports. I can also share that we're looking to have a native mobile app out around mid-year and will likely start with an iPhone/iPad version. Can you anticipate the cost of the site going either up or down in the near future? We have remained committed to keeping things accessible to artists and collectors of all ages and stages and have no immediate plans to change the pricing. One other thing to note is that when users sign up, they are grandfathered in at those prices for life no matter how much we evolve the product or how many features we add.